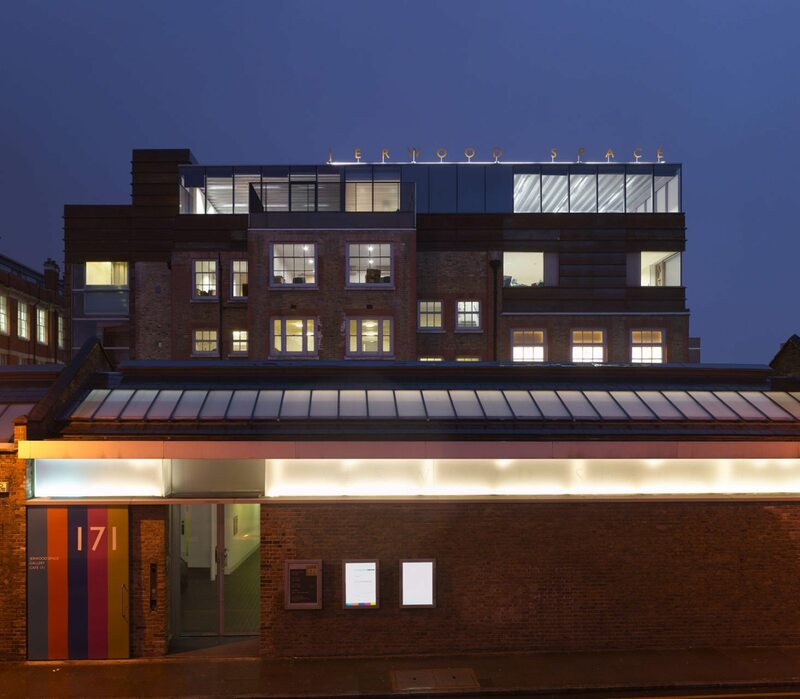 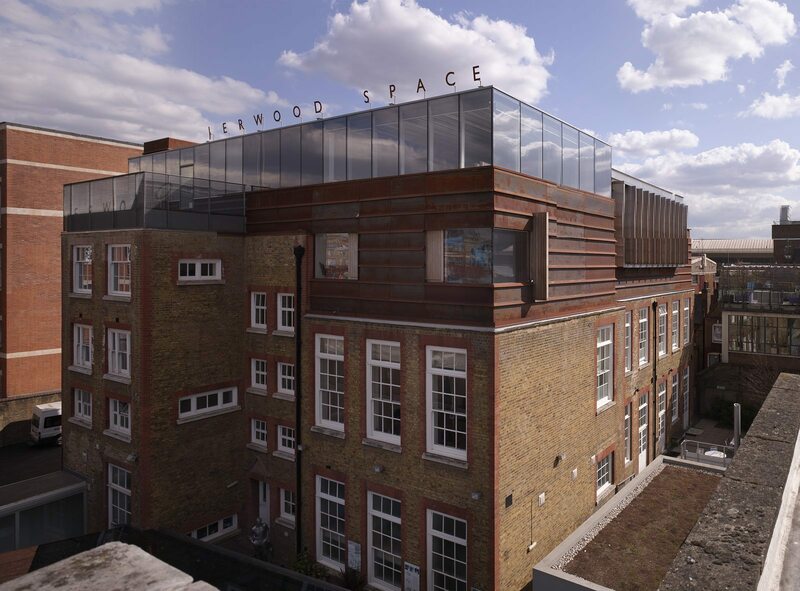 Jerwood Space project created a new purpose-built rehearsal space capable of accommodating monologue recitals to large West End productions. 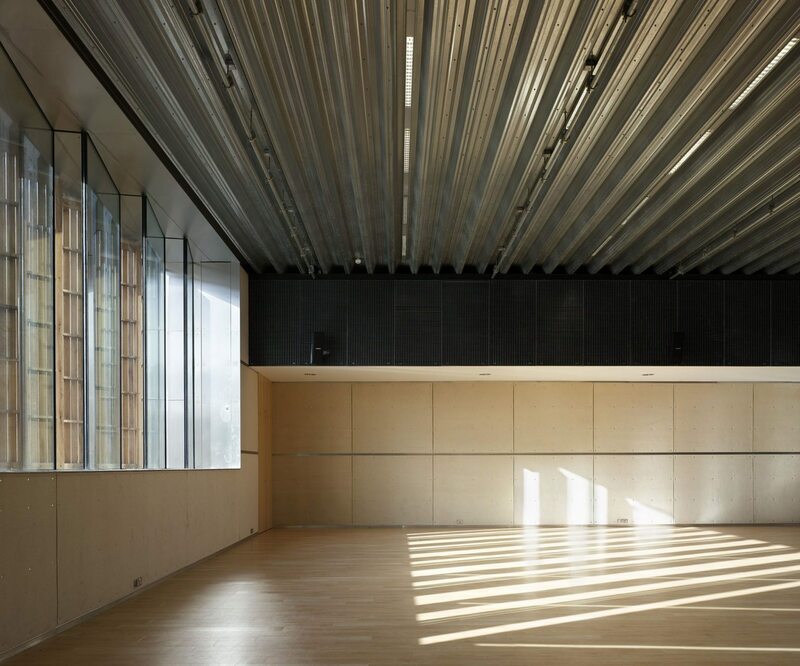 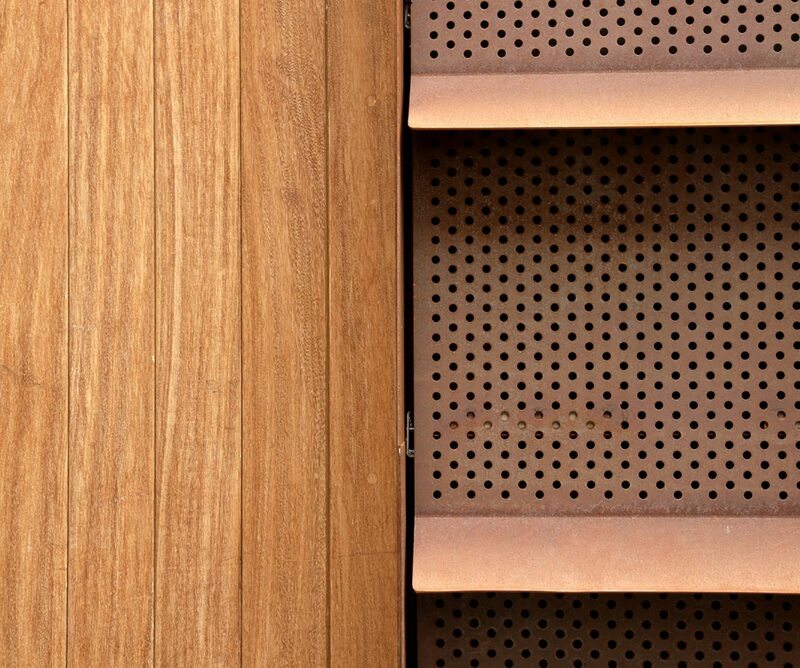 Clad in Corten, the top floor structure was carefully designed to be acoustically separated from the existing rehearsal spaces below and was lined with recycled felt, which is not only fireproof but also provides the exact reverberation times for a multi-use space rehearsal space such as this. 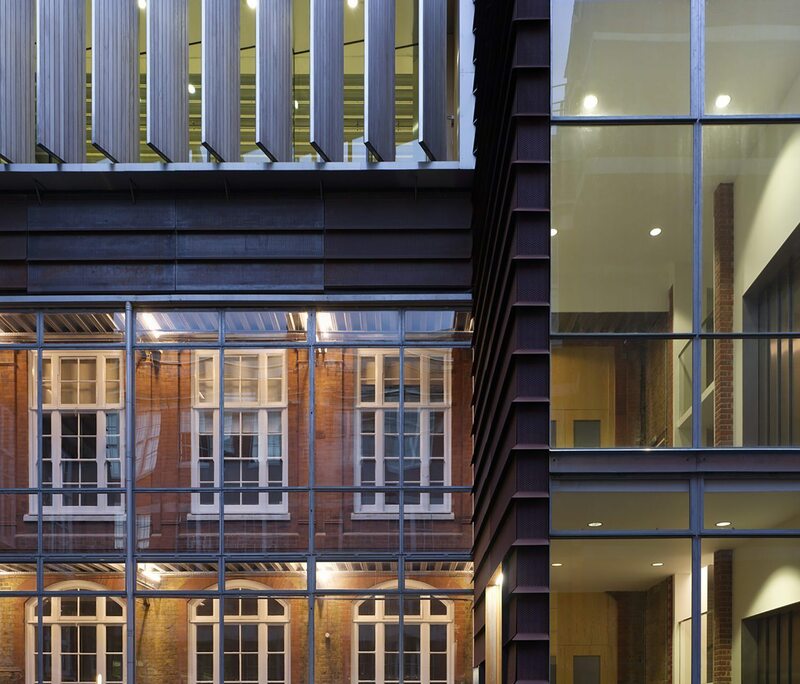 Neil Davies served as project architect while working at Munkenbeck+Marshall.